If you've been reading Southern In Law for a while, you'd know we love our dogs. But it's not just dogs we love, we are huge animal enthusiasts. In fact, we'd probably buy a zoo if given the opportunity... and well... if we knew how to look after tigers and things without either a) killing ourselves or b) injuring/annoying/aggravating them. 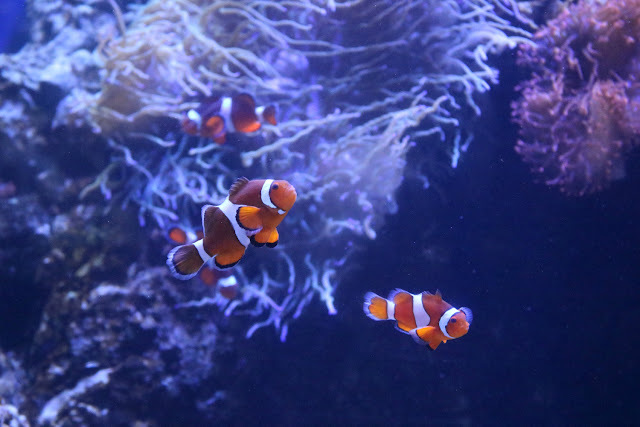 Luckily, there are plenty of awesome zoos and aquariums to visit around the world on our travels so that we don't have to do that. 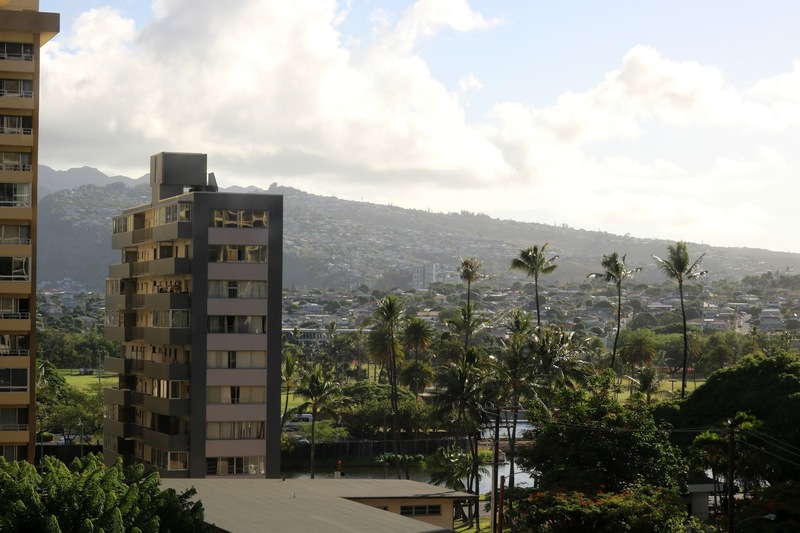 Our wild adventures started at Darmic at the Waikiki Banyan where we were staying. We awoke to glorious sunshine - albeit with a little cloud cover - but it was the perfect day to explore. We got ready for the day, put on some sunscreen (seriously, a must in Hawaii - I can't tell you how many sunburnt people we saw.... Jesse included at one point) and headed out to the street. Unlike Taronga Zoo in Sydney, Honolulu Zoo is affordable and, on the Monday we visited, not anywhere near as crowded - so it was the perfect opportunity to hang out with some wildlife. But instead of telling you about our adventures, I thought I'd show you with a little video... and make sure you watch it all the way through for the SLOTH! Honolulu Zoo totally exceeded our expectations. It's bigger than you'd expect and inside you'll find a huge range of animals. From elephants and orangutans to owls, giraffes, warthogs, aardvarks and more. If you've been reading Southern In Law since the very beginning, you might remember The Story of Kirk's Dik Dik. The animal I was so desperate to see - only to have it hide from me on every opportunity I've had to see one. I had no idea Honolulu Zoo had a Kirk's Dik Dik (or two... or three? Who knows if they even have one!) but they apparently did - though it was nowhere to be found. When I asked about it, I was told you can only see a Kirk's Dik Dik around dawn and dusk... which isn't very helpful when zoos aren't open at dawn or dusk... so now I'm convinced that Kirk's Dik Diks (is that the correct plural term? who knows!) don't exist and are instead photoshopped creatures... or unicorns. Aside from Kirk's Dik Dik, we had a lovely trip to Honolulu Zoo and then took a short 5 minute walk across the road and down the street to the next stop on our adventure: Waikiki Aquarium. Waikiki Aquarium is a small aquarium with a lot to offer. With a mission to inspire and promote understanding, appreciation and conservation of pacific marine life; there's also a lot to learn. And best of all? 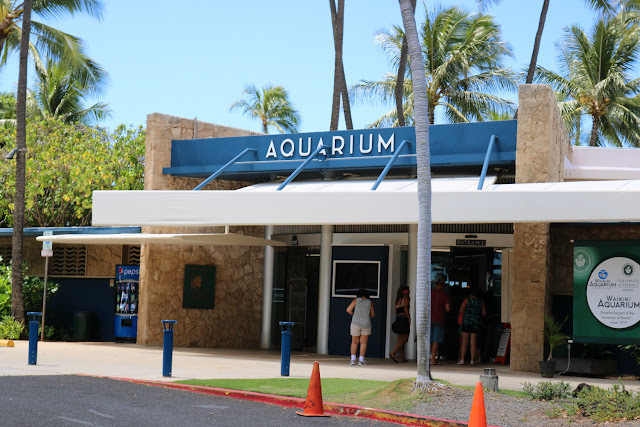 On a super hot day, Waikiki Aquarium is air-conditioned and a lovely break from the heat. We quite happily watched the fish swimming around in the tanks inside. But it's not just fish. 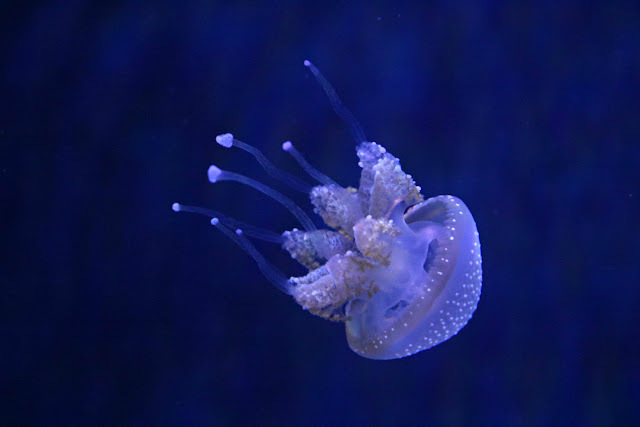 At the Waikiki Aquarium you'll also find jellyfish, coral, turtles, eel, sharks, rays and Hawaiian Monk Seals. 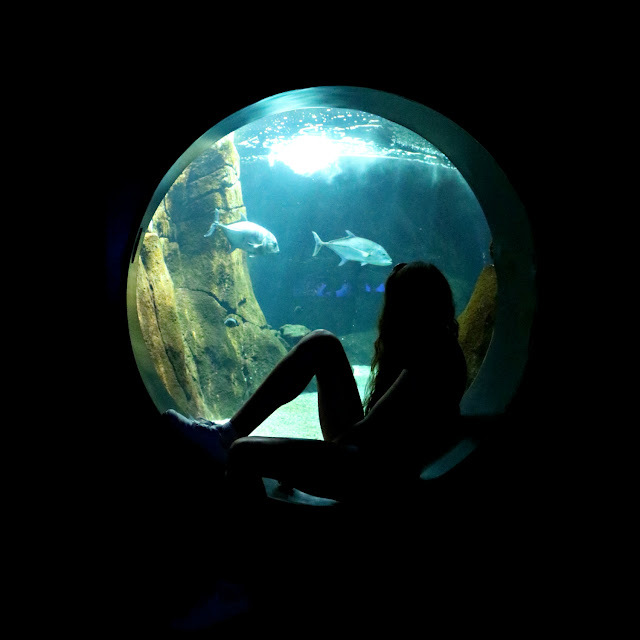 All in all, both The Waikiki Aquarium and The Honolulu Zoo are the perfect places to explore whilst on Oahu. 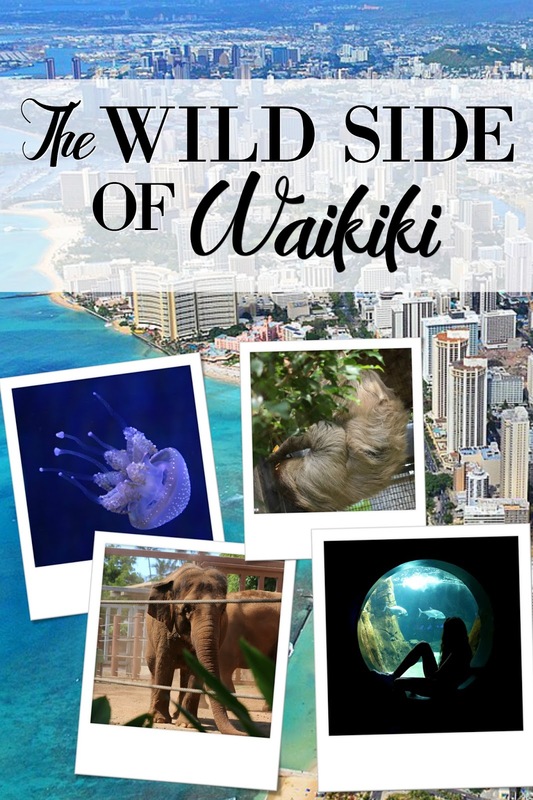 You'll get to see a huge variety of animals and creatures - and also learn a lot about Hawaii's unique ecosystems and how the island got to have the flora and fauna it has today. But tell me, are you a zoo/aquarium fan? What's the best zoo you've ever been to? And what's your favourite zoo/aquarium animal? I love elephants (remember when we went on an Elephant Ride in Bali?) and lions - but I'm fascinated by all animals. I could spend all day watching and photographing them!